The NASA Ames Hall of Fame formally recognizes those people "whose contributions have had the most sustained and far-reaching influence on the direction and mission of NASA Ames, and/or whose work at NASA Ames has generated fundamental advancements in either a scientific or engineering field." More informally, the Hall of Fame is an opportunity for all of us at Ames to reflect on those of our peers who built exemplary careers into true works of art. It is our chance to discuss among ourselves how and why these notables--men and women, scientists, engineers and managers, from diverse fields of inquiry--made a profound and enduring impact on the work of our Center. + William F. Ballhaus Jr. Known to some as the "Father of SETI," to others as the "Father of Astrobiology," Billingham is perhaps best known at Ames as Chief of its Life Sciences Division in the 1980s as it broadened its purview beyond exobiology into all dimensions of life in the universe. Trained as a physician, he came to NASA to improve space suit design then developed the transdisciplinary vision now at the core of NASA work in the life sciences. He led the first comprehensive studies on a permanent lunar laboratory, on the origins and evolution of life on Earth, and on the search for extraterrestrial intelligence. Billingham did much more than voice a compelling agenda; he helped others conceive and refine experiments that actually moved space life sciences forward. Tenure at Ames: 1947 to 1985 et seq. "You can accomplish great things if you don't care who gets the credit." This dictum describes how Boyd emerged as such a significant leader at Ames. His career spans almost the entire history of the Center, starting as an aerodynamicist in Ames' world-changing high speed research group. Boyd managed positions of great responsibility--like Ames Associate Director and NASA Associate Administrator of Management--and has advised many other NASA leaders. His reputation for honesty and respect, and his enthusiasm for technical excellence and educating future generations has earned him vast networks of friends. He masterfully wields his knowledge of Ames history and culture, and inspires us all to make our past relevant to our future. Condon helped make Ames a leading center for the Earth sciences. She joined the Center in 1980 as an expert in measuring trace elements in the atmosphere, and served as PI in the Global Tropospheric Experiment campaign aboard NASA's science aircraft. She quickly moved into leadership of NASA's Earth observation program, and served as project manager of the vast international teams that measured the ozone holes above Antarctica and the Artic. She inspired and led the first concerted efforts to study the impact of aviation on the global environment. She also served in Ames' formal Center management, as Chief of the Earth Sciences Division, as Director for Science and as Associate Director for Programs and Space Projects. Condon exemplifies the best in Ames scientific management. 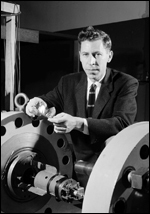 Eggers was one of the brightest lights among the Ames group that pioneered hypersonic aerodynamics in the 1950s and enabled the technology for re-entry vehicles. Like Harvey Allen, Eggers built simulation facilities to prove out his ideas, such as the 3.5 foot hypersonic wind tunnel and Atmospheric Entry Simulator. Working with Sy Syvertson, Eggers forged the theoretical and empirical basis for waveriders and for lifting-body re-entry vehicles, presaging the Space Shuttle. 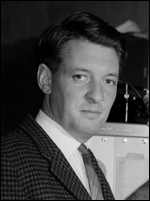 Eggers pushed Ames into the age of spacecraft engineering. 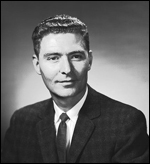 In the early 1960s he convinced NASA to locate its Mission Analysis Division at Ames, which paved the way for Ames' early spacecraft projects. In 1964 he moved to NASA headquarters, retiring in 1971 as Assistant Administrator for Policy. Erzberger brought scientific rigor to air traffic management. Recognized worldwide as leading applied mathematician, Erzberger did ground-breaking work in computer simulation and optimization in complex systems. 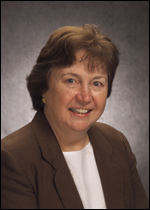 During the 1970s fuel crisis Erzberger started working on flight optimization algorithms for aircraft, which led to a continuing research collaboration between Ames and the Federal Aviation Administration. Erzberger was principal architect of the Center-TRACON Automation System (CTAS), a suite of computer-assist tools for air traffic controllers. Because of Erzberger's success, NASA built a major research program, at Ames, on air traffic management. Ames directly serves the flying public by reducing delays and boosting safety. 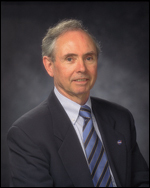 Holton's research papers are among the most cited in NASA history. Her hind limb suspension model is a compelling example of how basic research in the space life sciences proves useful in medical research on Earth. Holton led more than 15 space-flight investigations into bone and muscle physiology. She championed the Animal Enclosure Module which was flown in space more than any other animal housing system. She is a founder of the American Society for Gravitational and Space Biology, and led the workshops that established the new field of astrobiology. She is widely admired for her abilities as a mentor and an educator. McDonald provided exceptional leadership and keen technical insight to NASA Ames as the Center re-invented itself in the late 1990s. McDonald was appointed Center Director at a time of great change in the Agency, and helped Ames people see a future that made Ames a driver within NASA. McDonald's strategic aptitude proved instrumental in securing NASA's lead center role for Ames in astrobiology, air traffic management, information technology, and nanotechnology. McDonald also initiated the University Affiliated Research Center and the NASA Research Park, which created flourishing partnerships of enduring strategic importance to NASA Ames. Seiff, more than any other person, pioneered the technology of entry probes, thereby creating an effective and enduringly useful tool for understanding planetary atmospheres. His first two decades at Ames revolved around aerothermodynamics, and he led Ames' work on the design and testing of the Apollo capsule vehicle environment. In 1963 he inverted the "problem" of entry physics and reaction chemistry into the "solution" of entry probes. Typical of Ames, he proved out his concept on the cheap with the Planetary Atmospheric Entry Test (PAET) probe in the Earth's atmosphere. He served as principal investigator for the atmospheric structure instruments (ASI) on the probes for Viking, Pioneer Venus, and Galileo to explore the atmospheres of Mars, Venus, and Jupiter. He was co-investigator on the Huygens probe ASI for Titan. He earned three NASA Exceptional Scientific Achievement Medals, as well as the respect of the worldwide community of planetary scientists he mentored. Yaggy forged the strong relationship between NASA Ames and the U.S. Army, and built a research group which today positions Ames as a world leader in rotorcraft aeromechanics. Following service as an aircraft technician during World War II, Yaggy built a notable career in the Ames full-scale and flight research group. In 1965, as NASA began to reconsider its research program in aeronautics, Yaggy saw an opportunity in the complex aerodynamics of low-speed flight. The U.S. Army was keenly interested in the low-speed regime, and partnered with Ames to serve as its basic research and development arm. 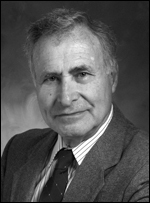 Yaggy successfully expanded Ames research into V/STOL wings, helicopters and tilt rotor aircraft, and was an early advocate of basic research in handling qualities and in computational fluid dynamics. Yaggy exemplifies the Ames spirit of creating new opportunities by nurturing collaboration.